This month of new home demolition is crazy as ever, but we are beginning to see the progress, which is so encouraging! I'm so very excited to finally move in! Hopefully it will be next month! For now, we are busy bees getting everything ready that we can. And the best part, we are finally free of those scorching hot days! This month's What's Baking Challenge was to Bake Local, hosted by Lindsey of Our Share of the Harvest. I'm a big fan of using local foods and supporting local businesses so this was right up my alley! I stopped by two farmer's markets and a roadside stand to get my booty for this fun recipe. My favorite farmer's market purchase was definitely the raw fall honey. It's so different than the honey you buy at a store and it's healthier for you too! I also scored some yummy nectarines and blueberries. I have a little funny story related here. I was planning to make a stone fruit crostata with my local bought produce for this month's challenge. I started making my normal go-to Lidia Matticchio Bastianich's recipe and, much to my dismay, the dough was not forming at all! It never harden, just stayed liquid. Yuck! I ended up throwing it away. My confidence was starting to get shaken, but I figured I have to try again anyway. So I went for attempt #2, which started out better, but the end product was still lacking. I couldn't figure it out. Why was my dough behaving so funny? The humidity in the kitchen? My ingredients were not chilled enough? Should I have used a different utensil to mix? I was truly baffled by these events! So I let the dough chill in the fridge overnight, as per the directions. In the morning, it was none the better. I was unable to roll it out, only press it into a disc with my palms to flatten. But I had to try to bake it at this point just to see what would happen. So I threw together my fruit filling and laid in on top and rolled it all up. Finally, it looked pretty good, despite my earlier issues. I popped it in to bake hoping it would turn out well. I left the kitchen for barely a minute or two, then came back to check on it to find.... that the dough had melted! Yes, that's right, melted! Literally. It ran down the parchment, over the pan, off the sides and onto the oven floor where it had already puddled. The best part? The puddle was on FIRE! Needless to say, I was done baking that day... Well, the end of my story is that I cleaned it up and decided to make scones. I am using my mother's kitchen since we are in the middle of moving, and discovered that when I thought I was using flour, the whole time I was using confectioner's sugar!!! My mom keeps them in these large upright Tupperware containers. And I know the spot the flour lives, but apparently she switched up their order in the closet. I can't believe I didn't notice it earlier, but at least I found out why! I guess we need to purchase some labels for our containers... Thanks for listening to my crazy story and now if you are still reading this enjoy these scones! They are so sweet and full of fresh fruit; hmmm... breakfast or dessert? 1. Mix all the wet ingredients together in the bowl of a stand mixer. 2. 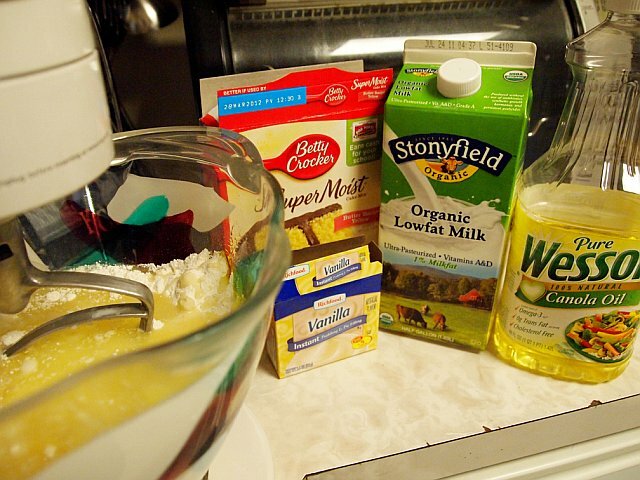 In a separate bowl, whisk together all the dry ingredients. 3. Slowly add the flour into the wet mixture, stirring periodically. This dough will be quite stiff. 4. Turn the dough onto a well floured surface and knead with floured hands for a minute a two. 5. Flatten your dough slightly and press all your frozen fruits into the dough. Continue to knead for another minute or two to spread the fruit evenly through your dough. 6. Using your hands, shape the dough into a large, flattened circle. Using a floured knife cut the dough in half to form two half moons. Then cut each each half moon in thirds resulting in a total of six wedge shaped scones. 7. Now you can either place a few on a parchment lined baking sheet or you can freeze them for later use. To freeze, simply place scones on a baking sheet in freezer just long enough to harden, then transfer into freezer bags. 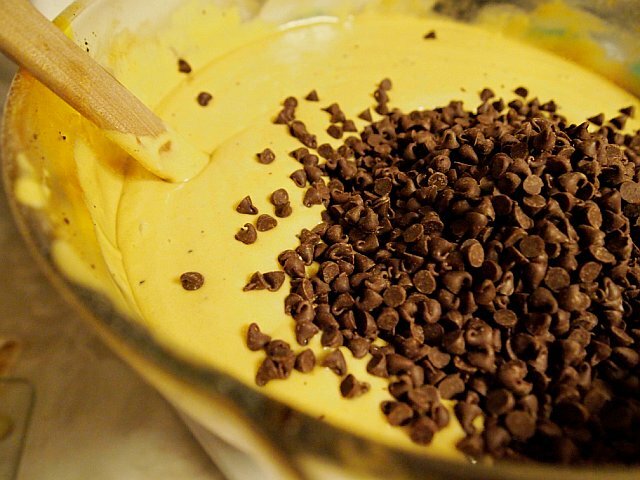 Defrost and brush with cream when you are ready to bake them at a later date. 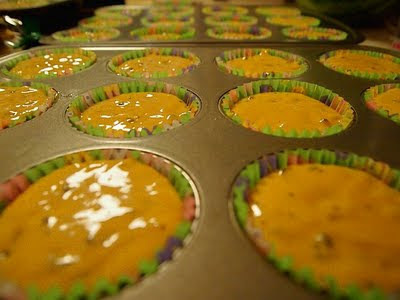 To bake, brush them with a few tablespoons of heavy cream and place them in a 425 degree oven for about 24-26 minutes. 8. While the scones are baking away in the oven, put the honey and butter in a glass measuring cup in the microwave for 90 seconds (a minute and a half) on high, stirring once halfway through. 9. When scones are cooling, brush them with honey butter and let sit for 20 minutes then brush them again. This helps them to stay fresh for up to 4 days. It's a natural (and very sweet) replacement for preservatives! Good morning all! I'm excited to feature my first ever, guest blog post by the lovely and talented Donna, from My Tasty Journey. 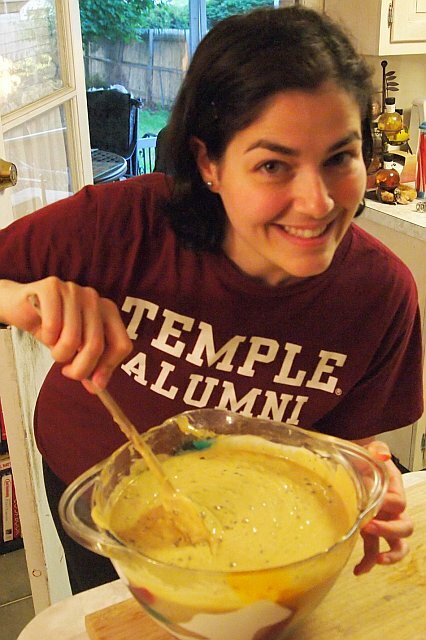 Donna is a yoga obssessive fellow Jersey girl and an avid foodie and travel-crazy blogger. She very generously volunteered to make quite a few dozen of these yummy cappuccino chocolate chip muffins for the Great American bake sale I hosted back in May. And they were one of the hits of the day! Hope you enjoy her and her scrumptious baked goods. Hi everyone! My name is Donna and I blog over at My Tasty Journey.com. Amanda had asked me to share a recipe I had made for her Share our Strength bake sale a couple months ago. I ADORE this recipe for bake sales because you can double/triple the recipe EASILY, PLUS it has enough flavors to not need any frosting. No frosting = No mess = Travels well! Not to mention, they really couldn't be simpler! 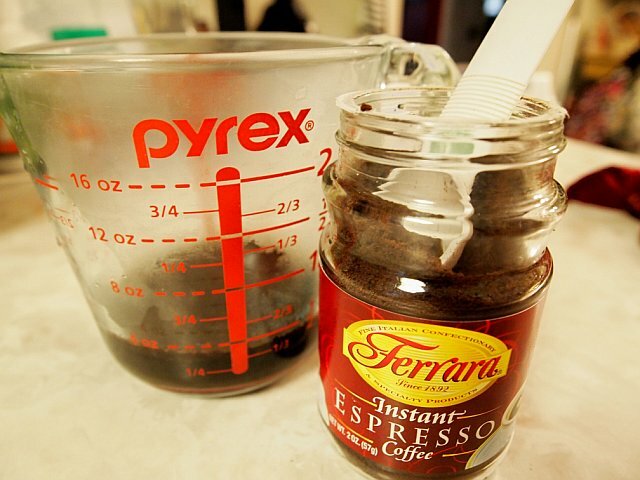 1.- Combine the espresso & boiling water and stir until nearly dissolved. (It doesn't have to dissolve completely. 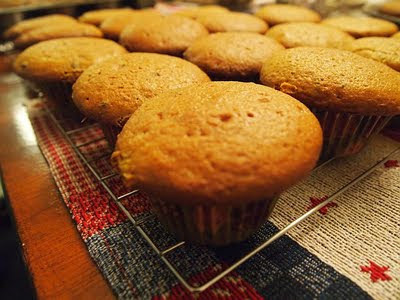 I've never had a problem with coffee grinds in my cupcakes) Allow to cool slightly. 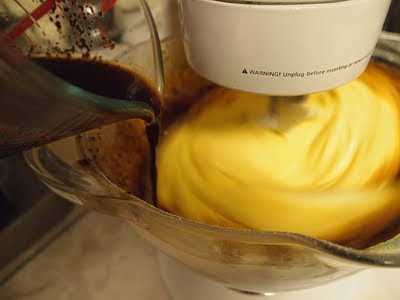 2.- Next, combine the cake mix, pudding powder, eggs, milk and oil in a mixer and blend on medium speed until combined. 3.- Once everything is combined, turn your mixer to low and slowly pour in the slightly cooled coffee mixture. 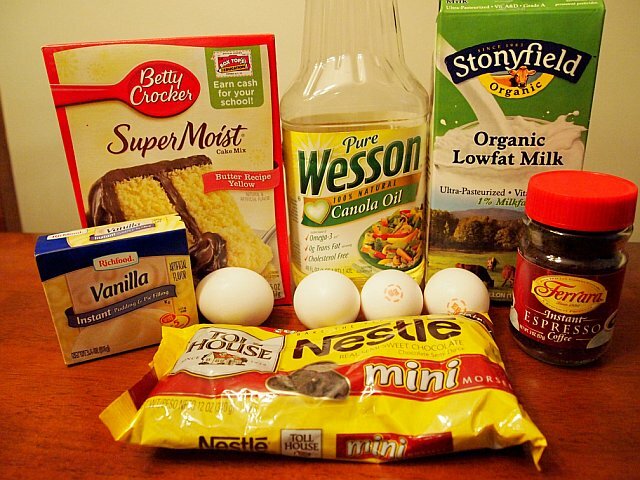 4.-Beat for 3 minutes until all of the ingredients have blended completely. 5.- Fold in the food of the gods. I mean, the chocolate chips! 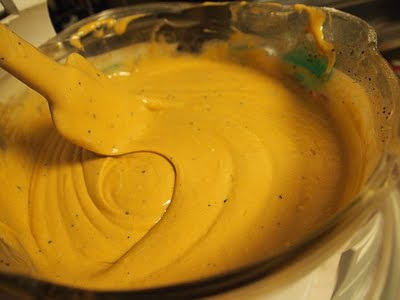 ...and try not to sneak too many bites of the batter. This bowl smells HEAVENLY, I promise! 7.- Bake in a preheated 375 degree oven for 18-20 minutes or until the "toothpick test" proves they are done! Please feel free to stop over and visit Donna at her blog. She features everything from workout information and healthy eats, to sweet snacks and travel finds, both local and abroad. Her warm amicable spirit flows through her writing and her food leaves you happy and healthy! Oh, the joys of moving! More packing and less posting this month, but it will be all worth in the end, once we are fully moved in and settled in our home! It won't be for awhile, but we are making due in the process. 6. Place one or two raspberries into the middle and fold up and over.